When ETS changed the format of the GRE exam, we received a number of emails asking about how to interpret scores received on the New GRE. Four years later, this GRE score conversion post is still one of our most popular on the Magoosh GRE Blog – which means the New GRE point scale is still confusing, to say the least. After taking the GRE, you’ll receive a score from 130 to 170 for each section math and verbal rather than a score based on the previous scale of 200 – 800. What do those scores mean? And what are you supposed to do with them…? Many colleges and universities still publish average GRE scores based on the old scale for their admitted students. In order for you to truly understand your score in context you need to convert your new score back to the old scale. I’ve included tables for math and verbal below which will help you with this process. This information comes from the 2016 GRE Guide to the Use of Scores – Concordance Information. In addition to knowing your score based on the old scale, it’s also important to understand what your percentile rank is. This score percentile table which comes from the concordance table over at ETS, the makers of the GRE, provides you with the percentiles for each score. You can also see your percentile rank on your official score report. Should You Retake the GRE? Now that you have a better sense of what your score on the new GRE means, you need to decide whether or not to retake the GRE. If your score is above the average for math and verbal for your target program and school, you should focus on the rest of your application. However, if you are at or below the average, I recommend re-taking the test. 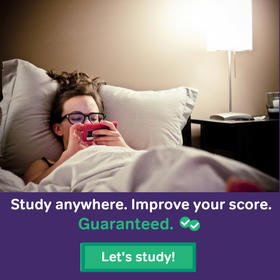 In fact, we’ve seen such great improvements from students who have used our online GRE prep prior to retaking the GRE (such as Keith’s increase from 152 to 165 on GRE math), that we are now offering a GRE score improvement guarantee or you’ll receive your money back. This post was originally published in January 2012 and has been updated for freshness, accuracy, and comprehensiveness. We’ve decided to close comments for this blog post so that we can focus our time on providing support and service to the paying customers of our Magoosh GRE Prep. Between the blog post and the answers to the comments below, we hope that you’ll find an answer to your question, as most questions and answers fall into only a few categories. You can also reference the article and comments available here for more information about a good score. Thanks! GRE Score Range: What’s a Good GRE Score? How Many Questions Can I Miss on the GRE and Still Get a Perfect Score? Will the New GRE Math be Easier? 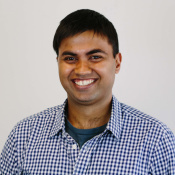 Bhavin sets the vision and strategy for Magoosh, along with whatever else needs to be done. With a BS/BA in Economics and Computer Science from Duke University and an MBA from the Haas School of Business at UC Berkeley, he’s on a mission to change the way people learn and how they think about learning. Years ago, Bhavin played on several Nationals-level ultimate frisbee teams. Today, he’s our resident gelato connoisseur. I have scored 157 in Quantitative and 147 for Verbal. I just wrote the exam with 2 weeks preparation. How good are my chances of getting to a good grad school in physics? Unfortunately I’m not sure what the average scores for Physics programs are. Try using a site such as US News and World Report to learn about average scores and good programs, and I also highly recommend contacting the schools directly. my gre score is 303.. verble-142 and math 161…. i want to get into ny university singapore… do dey consider gre. any other criterias to be considered.?? Congrats on breaking 300! Unfortunately I’m not familiar with that NY University Singapore. I’d recommend contacting them directly. I got a gre score of quant-158 and verbal-146.Iam quite disappointed with my verbal score.In overall is score ok to get into good universities . Do u recommend to retake test or should i wait for my toefl score. i took my gre yesterday! i got 150 in quant and 141 in verbal. What do you think about my score? Do i stand a chance of getting information systems in George mason university? Unfortunately I don’t know specifics about each schools admissions criteria. I recommend reaching out to the school and asking about the average GRE scores of accepted applicants. Retake the GRE if your scores are below average. I am quite disappointed today as i took GRE and got far less than what i had expected. I got V-147 & Q-164. I am very good at quant and was expecting 170 for sure. At present i don’t have any idea how good is this score. I just want to know that can i get a university from top 20 for mechanical engineering ? Or should i take it again. kindly evaluate according the possibility of getting admit and suggest regarding retake of GRE. Thanks for sharing your details! First off, Q164 is not bad. It equates to a 790 on the old scale. Remember that achieving a 170 is extremely difficult as only the top 1% of test takers score that high. A bad day or a a few simple mistakes could be the difference between a 170 and 164. Had you scored a 166 or higher, you would have had the equivalent of an 800 on the old scale. So also remember that you don’t need to score 170 to be competitive with others who have scored 800 on the old exam. With all this being said, if you are confident that you can increase your Quant score, you may want to retake to break 166 and possibly even get 170. I’d also work on getting Verbal over 150, if not higher so you can be above the general Verbal average. my GRE score is V 138 AND Q 154…. is it good score??? i came to know that some universities not focus on GRE score. i am in BIO-Medical eng. and i want to do MS in U.S. . Can i get admission on high toffel score if my GRE score is law ?? It really depends on the program– you should contact the schools directly to see if they take into account high TOEFL scores when evaluating the GRE Verbal scores. Good luck! I am about to write my GRE on 20th Aug but I am confident enough. Could you plz suggest me something. And can u plz tell what is the decent score out of 170 ? 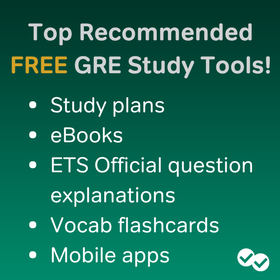 I’d recommend our one-month study plan: https://magoosh.com/gre/2012/1-month-gre-study-schedule/. My GRE score is a 317 with a 157 in Verbal , 160 in quant , 4.0 AWA. I am studying Biotech Engineering in Mumbai and I am hoping to pursue Masters in Health Administration in the US..
Based on your answer I was also hoping to know if, considering my GRE score I can expect to get into the top 10 colleges for MHA. Congrats on a good score! Unfortunately I don’t know the specifics of that programs or other colleges for MHA. I recommend researching the top 10 colleges, contacting the schools directly, and asking them about their average scores. is gre essential for doing pg in germany? ?what are the best colleges for biotech in german? I’m not familiar with programs in Germany – I’d recommend contacting the schools directly. My Question is How should I interpret it ? Why the new Powerprep is alos giving scores in relative mode? Wont i get exact marks in my real test? Where can I find the answer key for the questions in powerprep. 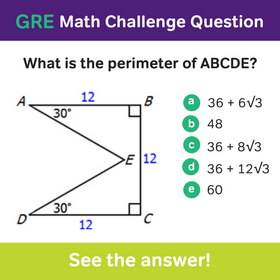 Unfortunately, Powerprep is still behind the actual GRE. ETS released Powerprep about 1 year ago before the new GRE was in place and at the time they didn’t know what the scoring scale would be. Students who took the new GRE from August 1 (when it was first available) til early November had to wait until early November to receive their scores, because ETS needed that time to calibrate the new scale. I believe ETS is releasing a new book and version of Powerprep but it won’t be available until August, which is too late for you. I got 307 in new gre.. I am planning to apply for these colleges for cs/mis..oaklohama sitlllwater, suny buffalo, university of floride, university of illinoi chicago and syracuse.. could you tell me the chances in these colleges.. And please suggest me some good colleges for my score. and is it possible to expect financial aid at this score as i have some problem financially. tnx a lot in advance. Unfortunately I don’t know the specifics for these schools. I’d recommend contacting the schools directly and researching their average scores and financial aid requirements. You’ve already done that hard work of identifying the schools! i took my gre yesterday! i got 163 in quant and 150 in verbal. What do you think about my score? Do i stand a chance of getting into a decent university? Hi Sikha – The scoring unfortunately is not that simple. The sections are adaptive, so if you do well in the 1st math section, you’ll get a harder 2nd math section, and you’ll likely score better. If you don’t do well in the 1st section, you’ll get an easier 2nd section and you won’t do as well. I’d recommend taking mock tests from trusted sources such as ETS, the makers of the GRE. We (Magoosh) also have mock test and score predictors that are fairly accurate from our students’ experiences. Thanks! I appreciate…..Also texas state uni was chosen Åñð ₪☺ specificity about ŧђε gre score…pls kindly help ♍ξ find out as well……God bless! Hi Tobi – No problem! Unfortunately, I can’t help further with specific schools, however I highly recommend contacting the schools directly. Had 304 in both quant Åñð Verbal Åñð 3.5 ana……my school, university of florida require 307, what should I do??? Hi – That’s a tough situation but I’ll try to help! I would contact the school and see if they ever make any exceptions. If they don’t make exceptions, I’d recommend retaking the test. i took revised gre and my gre scores are 151,147 and 3 for quant, verb and aw..d university i m applying demands a cut off of 300 .. is it like i need to add up my scores or is their any other format for finding my total score? pls help me..do u think its a decent score? If a unversity has a cutoff, the cutoff usually applies to quant and verbal only. AWA is usually not included in the total, it’s thought of as a separate score. So your score is 298 (151 + 147). You may want to contact the university directly and ask about their requirements, but it looks like you should re-take the GRE to meet the cutoff. In general, your score is about average at the 50% mark. If you decide to use Magoosh to prep, we do offer a score improvement guarantee, you can learn more here. Hi bhavin. I took the revised gre and got a score of 146 in quant as well as in verbal. I got 3 in aw. I hav done eng in civil and lukin to do ms in structural eng. Do you think these scores can get me any decent school in us or uk? I recommend making a list of target schools researching them on US News and World Report (I discuss this approach more in this article). Unfortunately I can’t determine what schools you’ll be able to get into. I recommend researching the average scores for your specific target program for those schools (for instance English departments will have different requirements than Engineering departments.) Also, there’s a lot more to an application than GRE scores, such as work or educational experience, etc. The best way to find out is to contact the school directly. I hope that helps! You could be admitted but you’ll have to do some research first. I recommend starting with US News and World Report as I mention in this article. Hey i just took my gre today and i got 150 in verbal and 155 in quant. a total of 305. do you think its a decent score and will get me through decent colleges in the US for MS biotechnology? I’m happy to help! It’s an okay score. I recommend reaching out to a few colleges you are interested in and asking about their average scores. That’s the best way to find out about your chances for admittance. If yes then both scores will be considered or the highest score would be considered? Can you just explain me the disadvantages of retaking gre? Hi…I want to do my Phd in Harvard university..How much I want to score in GRE /GMAT ? Please help me…I am the university rank holder in BE..Now I am studying MBA in National Institute of Technology Trichy. Identify the programs that you are interested in at Harvard. Each program will have different admissions criteria. Once you identify the program, use US News and World Report’s grad school rankings (as I mention in this article) to determine average GRE scores. If you can’t find the information there, contact the programs directly by finding the information on the Harvard website. That’s a relief. I thought I didn’t do well at all, but it seems that my grades are not far from what I need to get. Thank you for strengthening me for the second round. No problem, and glad I could help! Hi Bhavin! I just took the GRE today and my scores were 160 Math and 155 for verbal. The program I want to get into wanted at least 600 in each section for the old GRE, but I spoke to many of my colleagues who are applying for the same program this year and they scored in the 150 range for the verbal as well. I know my math score is a good score since the old score states that I would have gotten a 760, but to say that my new score is equivalent to 530 is a little bit off to me. I really don’t want to retake the GRE, but I want to make sure my scores are good enough to be considered competitive. Thanks. First off, that’s a good overall score. Congrats! I’d recommend contacting the program directly and asking how they address new scores, specifically verbal. I’m actually a bit surprised to hear that they wanted over 600 in each section. On the old scale, above 600 in math is above the 44th percentile while above 600 in verbal is above the 86th percentile. So it’s actually much more difficult to score above 600 in verbal than in math (on a relative basis.) Unless your program is a verbal focused program, I think your score should be competitive. But again, the only way to know for certain is to contact the program directly. You should also ask the program to put you in touch with current student who may be willing to share their scores. my gre scores were 167 in quant and 155 in verbal. should i retake my gre? Hi Sankha – Your scores are well above average but your decision to retake depends on the school and program that you are applying to. I recommend reading this article. The article will help you figure out how to assess your current score. Thanks! Hello Sir, My score is 142 in verbal and 158 in quantitative. Will this score be good enough to apply to good universities in the US? If so, please give detailed information. Unfortunately, we don’t know the typical admissions criteria for various programs. This significantly varies from school to school and program to program. Check out this post for more information about how to find this information. My score is 135 in verbal and 158 in quantitative. Will this score be enough to apply for a phd in canada? If so, please give detailed information. I took my exam on feb 21,2012. Please help me! Unfortunately, we don’t know the typical admissions criteria for various programs. I’d recommend doing research using the US News and World Report or contacting potential schools directly. Thanks! I got total 282 score out of 340 .The Quant was 144 and don’t know if this would be considered good score as a start. Honestly, I have not studied/practiced for the exam well but from time to time I watch you-tube along with my premium Magoosh account. Also last two semesters, I got college credits in math and statistics to improve my understanding to these areas and mostly got A in all of them. As far as my knowledge background goes in Math, I am so proud that I got 144 because I have not studied math at all since the first year in high school. In my home country we do have many students that they don’t study math after the first year in high school. I must say that i only need to practice seriously and put some more time to study Geometry because it is the only area I may have some deficiency with. I will take the exam one more time but after an extensive well prepared plan so at least I can surpass the 1000 area with the old scale measure. finger crossed. I’m happy to help! I’d recommend checking out this post I wrote which discusses what a good score is on the new gre. Good luck with your re-take and I also suggest taking a look at our study plans. On the actual exam will we be giving 40 verbal questions and 40 quant questions approximately? Based on the correct answer, how can we know what score range we are at? You will be given 2 math sections of approximately 20 questions in each section and 2 verbal sections with approximately 20 questions in each section. The difficulty of the second of each math and verbal section will be based on your performance on the first of each section. For example, if you do very well on the first verbal section, you will be given a more difficult second verbal section.